Our Pre-Listing Inspections are custom designed for home sellers looking to expedite the sale of their property. All homes have room for improvement. Disclosing the condition of the home allows you to reflect the condition in the listing price, rather than have to negotiate again later when issues are discovered. The report can help the seller negotiate a higher asking price if problems don't exist or have been corrected. The report can help the seller more accurately price the home if problems do exist. A seller inspection reveals problems ahead of time which might make the home show better. It also gives the seller time to make repairs and shop for competitive contractors and permits the seller to attach repair estimates or paid invoices to the inspection report. Interspec, LLC's Pre-Listing Process starts when you Request a Home Inspection at your convenience. 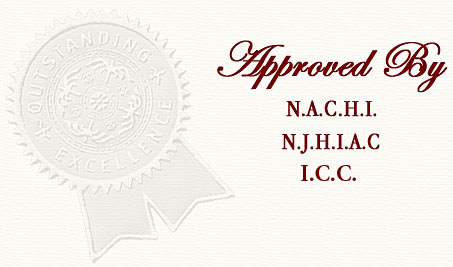 Remember, we service all of south jersey not just Atlantic County and Cape May County. We will then perform the inspection at the agreed time and day. Your inspection report will then be available within twenty-four hours on our secured web server via a password supplied by us. You (and your agent if you choose) can review the report, provide any suggestions, and submit and online approval. We will then post the approved report on a special section of our web server as a unique HTML document. A link to a printable Adobe PDF document will also be available. You (or your agent if working with one) can print out the high resolution report summery and distribute it as you see fit. The Pre-listing Inspection Summary Report can be included in listings, on feature sheets, on web sites, in advertisements, on lawn signs, etc. The web page address for the Summary Report can be included in any of these. Should you choose to use Interspec, LLC for your home inspection needs as a buyer following the sale of your home, we will discount the price $50.00. This only applies to our service area.